Barrister Matthew Pascall is the latest addition to the expanding commercial team at Temple Legal Protection, joining as Senior Underwriting Manager from November 2017. 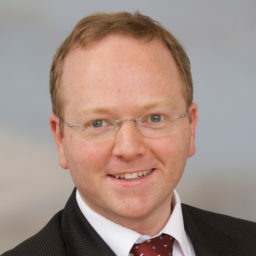 Matthew was called to the Bar in 1984 and joined Guildford Chambers two years later. Spending more than 30 years in practice there, he has comprehensive knowledge and experience of the commercial legal sector and he is listed in the current Legal 500 as a Tier 1 barrister. 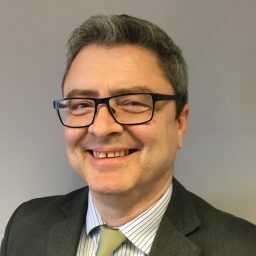 Matthew has been providing ongoing consultancy services to Temple Legal Protection for some time and therefore has prior insight into the company and has already established productive relationships with our clients. His knowledge of the commercial legal sector and litigation practice will be invaluable to the business, providing specialist experience to lead the commercial litigation insurance team. David is the Deputy Underwriting Manager in Temple’s Commercial Department who partners with solicitors and brokers to provide litigation (ATE) insurance and funding solutions to businesses and individuals. Having started his career in ATE insurance in 2006 at FirstAssist, David gained experience in litigation funding as an analyst at Burford Capital, before joining Temple Legal Protection in late 2013. Having worked for over 12 years in this evolving market, David knows what drives customers and he understands that it is how well you connect with the people you are trying to help that makes you succeed. David has helped hundreds of customers and has worked with many of the leading law firms in the British Isles. He has extensive and varied experience in risk analysis, case management and long-term relationship management. 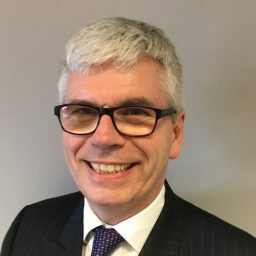 One of David’s specialisms is his management of our fully-delegated schemes, a responsibility which plays an integral part in the retention of Temple’s partnerships with many leading and specialist commercial law firms. In his role as Deputy Underwriting Manager, David considers a very wide variety of non-injury litigation including all types of commercial litigation, group actions, professional negligence cases, insolvency actions and contentious probate. He combines strategic activities - evaluating developments such as the impact of ADR on the commercial litigation sector – with expert underwriting in order to assist customers in making efficient and timely use of our litigation (ATE) insurance and funding products. He continues to work towards his qualifications as a member of the Chartered Insurance Institute. Jacob joined Temple in 2014 after graduating from the University of Chichester. He has recently completed the Graduate Diploma in Law at The University of Law. Jacob supports the senior commercial underwriters with reviewing a wide range of cases involving all types of commercial and business litigation. This involves providing costs solutions to SMEs, large corporates, private individuals and insolvency practitioners. As an underwriter, Jacob frequently corresponds with leading lawyers and brokers to discuss current cases. He also assists with the development of Temple’s ATE commercial business and supports the team with audits. Jacob is currently studying the BPTC part-time. Nicholas has recently joined Temple as a Senior Underwriter to provide support to the commercial underwriting team. Nicholas brings with him twenty years’ worth of experience working as a solicitor in London on both contentious and non-contentious company commercial and corporate matters. Having been a practitioner, he is fully aware of the pressure and time constraints a commercial litigator has to operate under and will be able to bring his insights to the table and provide a fast and professional service. His experience and knowledge will enhance the existing teams’ abilities to quickly and expertly assess claims and to provide intelligent and timely support throughout the legal process.